Get an inside look at the bloodiest hours of the American Civil War on this tour from Nashville to Franklin, the site of the famous Battle of Franklin in 1864. Learn from your knowledgeable guide about the war’s dark history as you visit the Lotz House and Carter House, which still bear bullet holes and blood stains. You’ll also tour the Carnton Plantation and learn about its role during and after the war, when it became the country's largest private Confederate cemetery. You’ll be picked up from your Nashville hotel in the morning and taken by comfortable coach to Franklin, a nearby city that played a key role in the American Civil War. 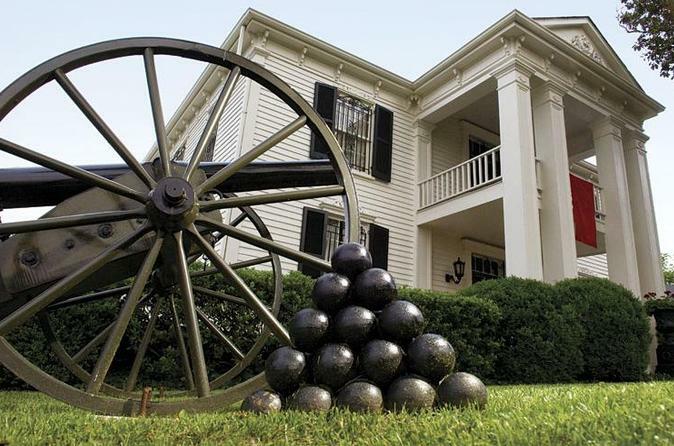 Visit sites near where the Union and Confederate armies fought and hear stories from your knowledgeable guide about the Battle of Franklin, fought on November 30, 1864 and known by many as the five bloodiest hours of the Civil War. Stop by the Carter House, located at the center of the Union position during the battle. The house and its outer buildings still show hundreds of bullet holes. At the Lotz House, which became a hospital after the battle, see cannon ball holes and bloodstains on the floors and walls, which bear witness to the savage nature of this horrific conflict. After touring these houses, you will be able to imagine how the residents of Franklin felt when they emerged from their homes on the morning after the battle to find more than 9,500 casualties. Next, enjoy free time in the quaint town of Franklin to shop, eat (own expense) and view other historic sites. You will then journey to the Carnton Plantation, ordered to be a Confederate field hospital by a Southern General and then made an eternal memorial to the Confederate soldiers by the mistress of the house. Now, the plantation is home to the largest private Confederate cemetery in the US. Tour the plantation with your guide and hear narrative descriptions about that fateful battle and the aftermath of the war. After your tour, you’ll be taken back to your Nashville hotel.